Risk Management – Echo Risk Assessments Inc.
A TRA can be applied to an application, a division, or an organization as a whole. 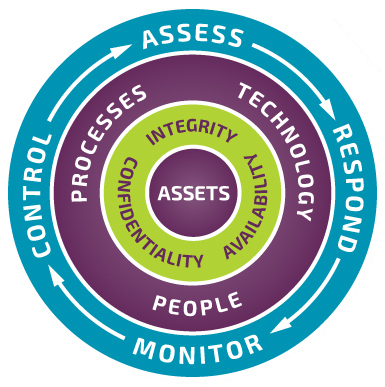 It identifies threats and vulnerabilities to both business processes and tangible assets alike. It is a complete, top down, risk review that takes into consideration the sensitivity of each key component within the project scope. It allows stakeholders to make decisions based on the qualitative risks that impact their organization. Our consultants can help in the development of all information security policies, procedures, and standards. Whether it’s closing a gap in your policies, or the creation of new cyber security standards, we can determine the effectiveness of current controls and provide recommendations for enhancements. Are you unsure if your organization has the appropriate tools in place to protect sensitive information? Let us assist you in creating and implementing a plan to protect your information at all organizational levels. To ensure the preservation of Confidentiality, Availability, and Integrity (CAI) in support of business and operational requirements. To provides input into any architectural decision. A TRA will provide a snapshot of your organization’s current risk posture. Unsure if your current information security policies actually protect you? We can assist in determining if your current policies and standards leave any operational gaps in your organization. Let us assist you in creating and implementing a plan to protect your information at all organizational level. A TRA proposes safeguards for People, Process, and Technologies, based on policies, standards, best practices, and regulations.